At the wall outside of the Young Culture House Smedetoften, the young people have written their favorite expressions. 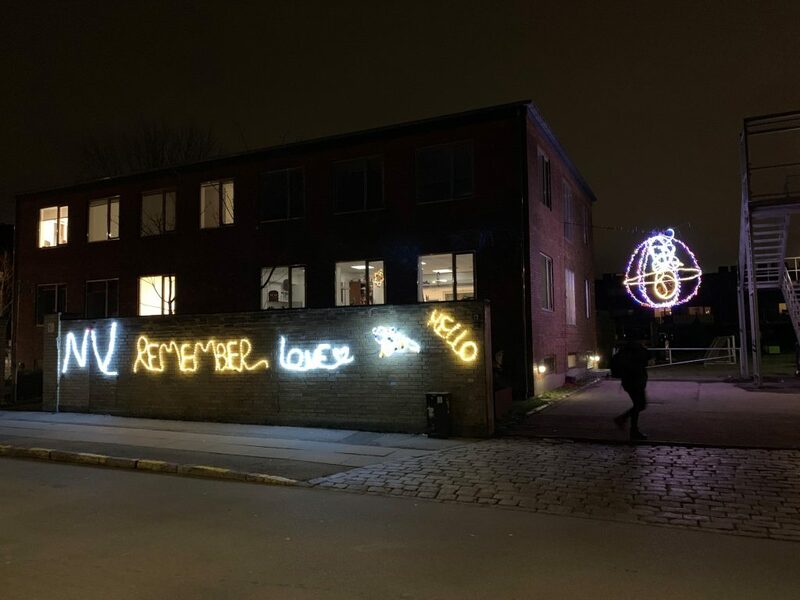 The words became inspiration for the light installation #TeachMeHowToLight, where the young people have learned to work technically with light while also believing that they can create light for the joy and benefit of themselves and their neighbors and others who pass through the Northwest Quarter. Everyone is welcome! The young people who have contributed to #TeachMeHowToLight: Suhanda, Yoonis, Abdullahi, Zaid, Samahir, Omar, Feray, Emma, Atiles and youngsters from Klub Utterslev. When you are in the area, then don’t miss the chance to see the permanent lighting designs in Nordvestparken and Underpass Tomsgårdsvej.